I usually avoid B movies where the writer/director also stars in the lead role, as it’s almost always pitiable self indulgence a lá The Room. In the case of Scott Leet’s Out In Fifty though, there’s an exception to the rule. 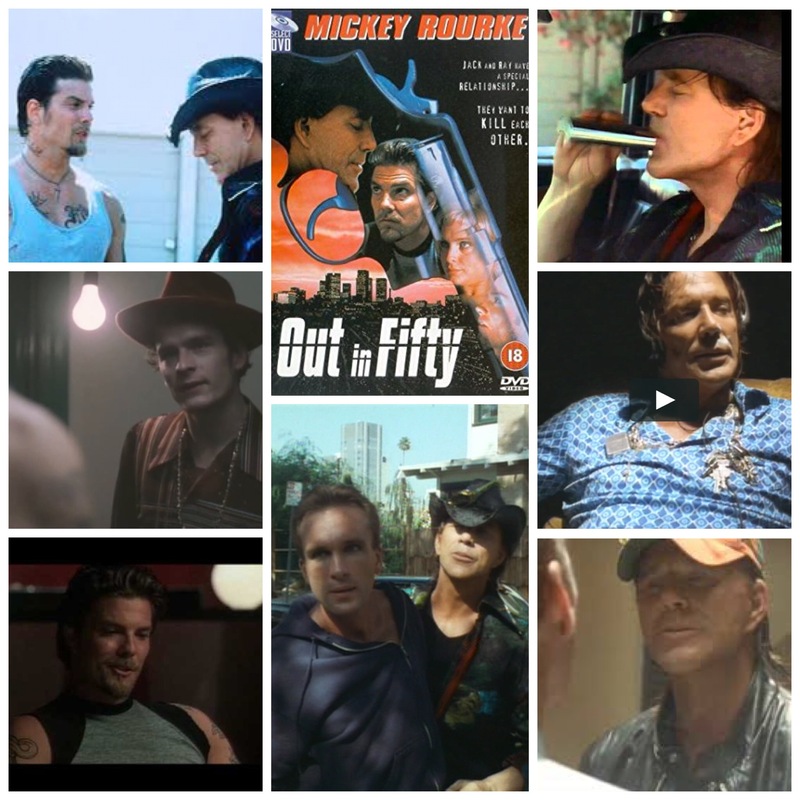 A violent, mean revenge story with no light at the end of the troubled tunnel, it’s a bizarre, sketchy little flick that benefits greatly from Mickey Rourke as one beast of a cop on the hunt for the convict (Leet) who accidentally killed his wife in the heat of a passionate affair. Remorseful and tormented, he just wants to quietly exist after he’s eventually paroled, but Rourke, still hard bitten over the incident, has other plans. That’s pretty much it, but the actors sell the dour tone nicely, especially Rourke, who is at his nastiest and most scarily volatile, with a seething, bleeding broken heart behind the coiled viper, hate filled exterior. Peter Greene is terrific as his former partner who does his best to reign the guy in, and there’s work from Christina Applegate, Johnny Whitworth, Ed Lauter and Balthazar Getty as a weirdo pimp/motel owner. Leet isn’t bad, especially in the writing department, and holds the thing together with reasonable triple threat talents, although he has scarcely been heard of since this one. Not bad, made better by Rourke and Greene’s presence, and worth it for any fan of the two heavyweights.